The Breakfast wars begin again as Nintendo makes players pick their preferred breakfast option in the upcoming Splatfest for Splatoon 2. 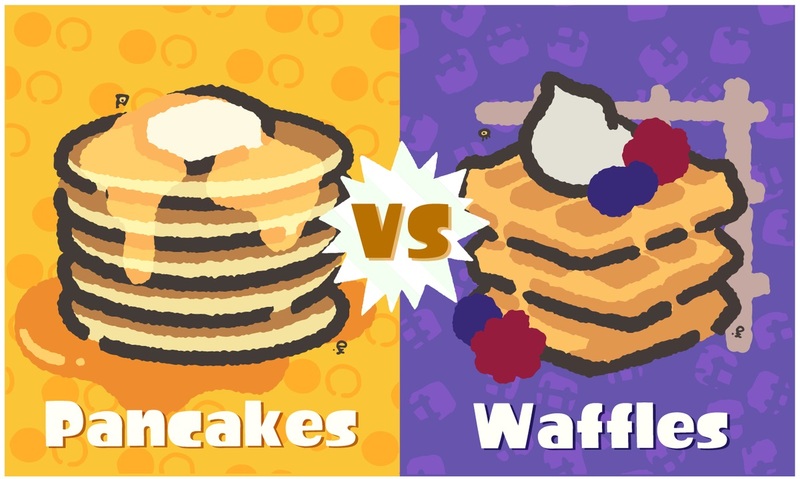 For all of you in North America, you must choose either Team Pancakes or Team Waffles if you want to participate in the Waffles Vs. Pancakes Splatfest. The Splatfest will go live on February 8, starting at 8pm PT / 11pm ET and ending on February 9th 8pm PT / 11pm ET. Below is the official tweet from the Nintendo VS. Twitter account.